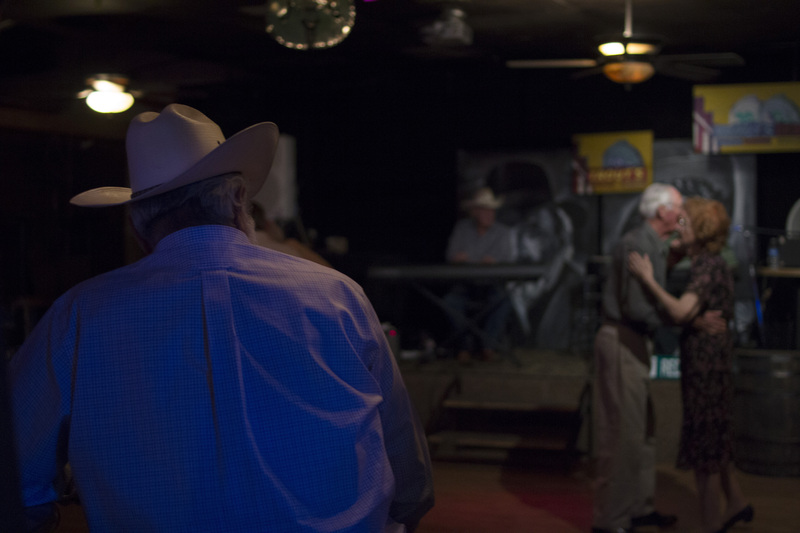 A night at the San Joaquin Valley’s last historic honky-tonk. I couldn’t find anywhere else. I just want a chance to be myself. 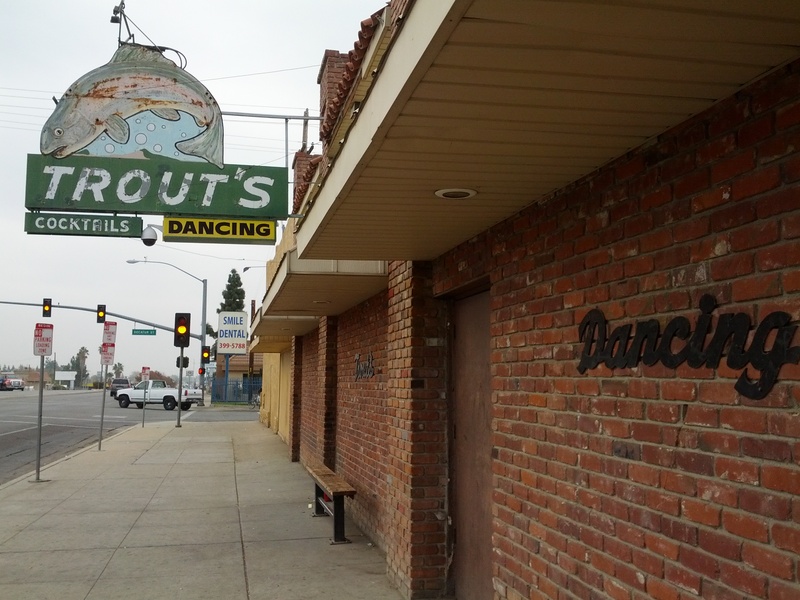 On North Chester Avenue in Oildale, California, an 83-year-old honky-tonk named Trout’s stands down the block from a saloon with an aged western facade, and across the street from a liquor store that sells booze and Mexican candy. 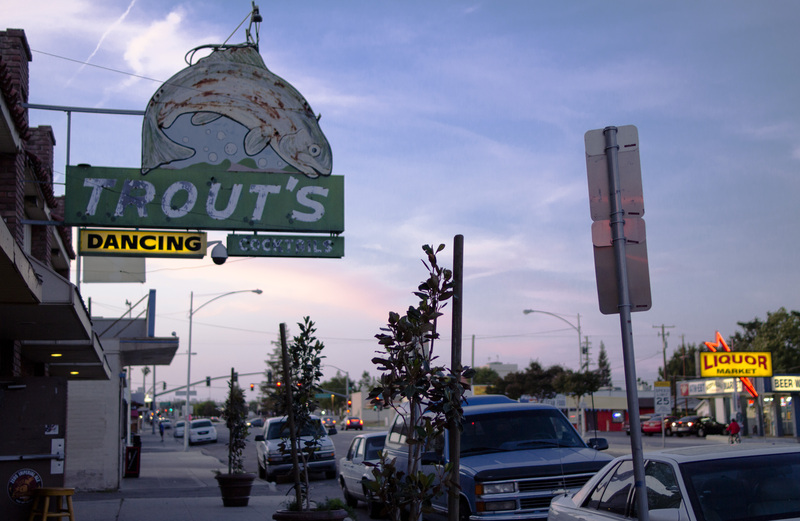 Trout’s opened in 1931 to give hard-working locals a place to dance and drink and unwind to live music. During the 1950s and ’60s, local country music legends Buck Owens and Merle Haggard played Trout’s, in their own bands and others, and kept people dancing while helping popularize the raw, propulsive style known as the Bakersfield Sound. 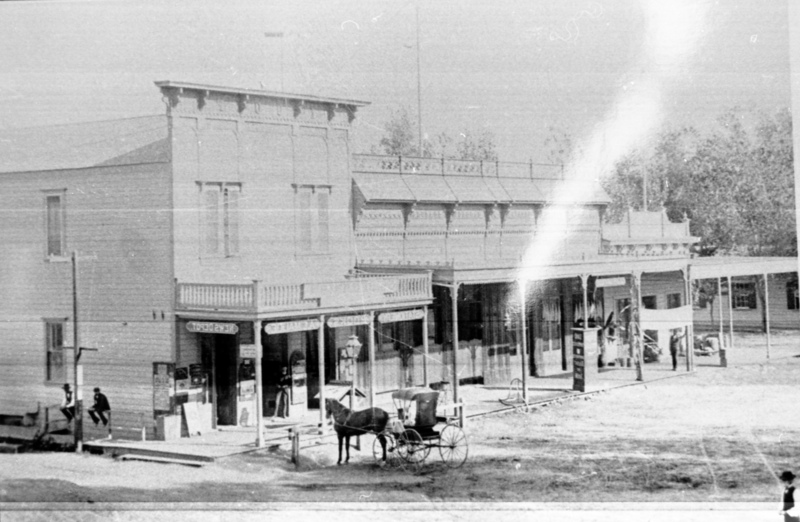 There used to be lively honky-tonks all over the San Joaquin Valley. Seven days a week, area musicians like Bill Woods, Tommy Collins and Fuzzy Owen developed this regional variety of country in bars with names like Lucky Spot, the Blackboard and the Clover Club. The Dust Bowl and Great Depression led thousands of hard-working families to California to pick cotton and fruit, and work the oil fields. 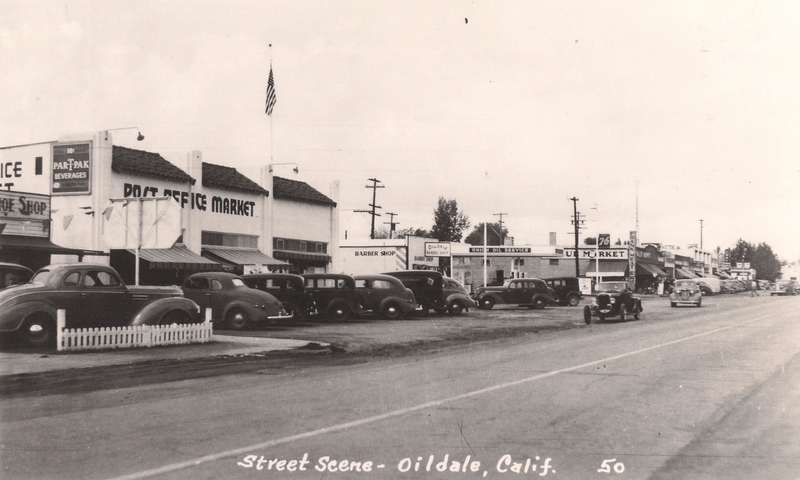 When the Dust Bowl Okies that Steinbeck depicted in The Grapes of Wrath moved from tiny towns like Arvin and Weedpatch, many settled in Oildale in northeastern Bakersfield. Some built camps on the canal and Kern River south of Trout’s. 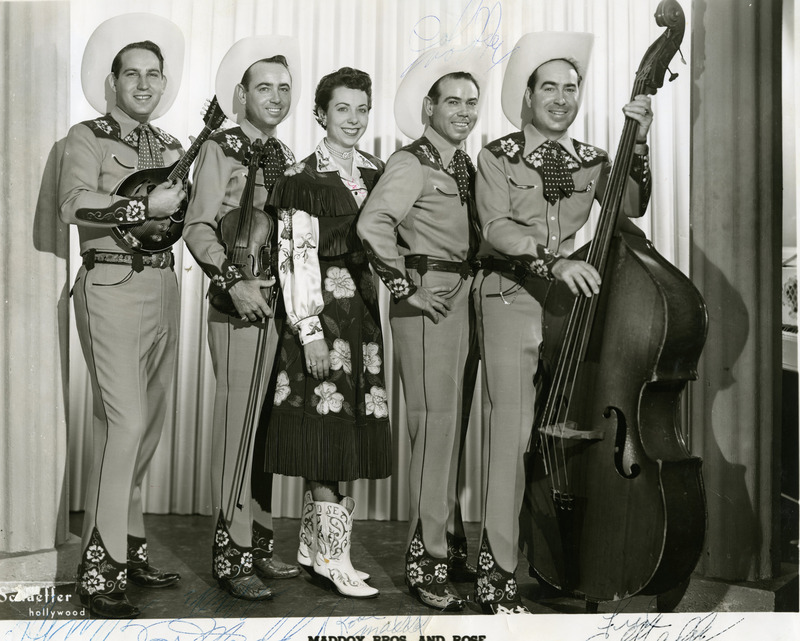 Many settlers played fiddles and guitars and created what locals called, often disparagingly, “Okie music.” Maddox Brothers and Rose were one of California’s first popular western acts. The band members left Alabama for the San Joaquin Valley in the 1930s. They followed crops with the season, finally settled in Modesto, California, and their swinging, hillbilly boogie ─ a precursor to rockabilly and western swing ─ influenced many of Bakersfield’s country musicians. If Johnny Cash’s classic stuff has the chugga-chugga rhythm of a train rolling down the tracks, the Bakersfield Sound feels like a pair of boots shuffling and spinning atop a beer hall dance floor. Bakersfield was a small town. Many of the Sound’s principal architects knew each other and performed together in some way or another. They formed bands. They wrote and covered each others’ songs. They booked each other on TV and radio shows, hired each other as managers and as artists on their record labels. They served each other drinks while tending bar. And sometimes, like Haggard and Buck’s ex-wife Bonnie Owens, they even married. Their stripped-down, hard-driving style emerged partly as a reaction to the overproduced, glossy commercial country coming out of Nashville, with its orchestral layers and market ambitions. Lap steel guitars and Fender Telecaster twang helped set the music apart, as did guitar plucking, and a playful, contagious beat. If Johnny Cash’s classic stuff has the chugga-chugga rhythm of a train rolling down the tracks, the Bakersfield Sound feels like a pair of boots shuffling and spinning atop a beer hall dance floor. The Bakersfield Sound was so catchy that musicians outside country circles like The Rolling Stones, Led Zeppelin and Gram Parsons dabbled in it. In 1965, The Beatles released a cover of Buck Owens’s “Act Naturally” as the B-side of their US single for “Yesterday.” In 1978, Mick Jagger sang “I was driving home early Sunday morning, through Bakersfield, listening to gospel music on the coloured radio station” on The Stones’ tongue-in-cheek “Far Away Eyes.” The Bakersfield Sound even influenced The Grateful Dead. “We’re kind of on the far fringe of it,” Jerry Garcia told Elvis Costello in 1991, “but we’re part of that California Bakersfield school of country-and-western rock ‘n’ roll─Buck Owens, Merle Haggard. We used to see those bands and think, ‘Gee, those guys are great.’ [Owens’ guitarist] Don Rich was one of my favorites, I learned a lot of stuff from him.” Many Valley musicians helped create the Sound. It was Haggard and Owens that popularized it. Now Bakersfield has a Merle Haggard Drive, a Buck Owens Boulevard, and the luxurious Buck Owens Crystal Palace, and the original Valley’s honky-tonks have closed. Trout’s is the last. I grew up in Arizona listening to Bob Wills and Buck Owens. My dad is an Okie, and my family watched Hee Haw and sang The Texas Playboys on road trips. 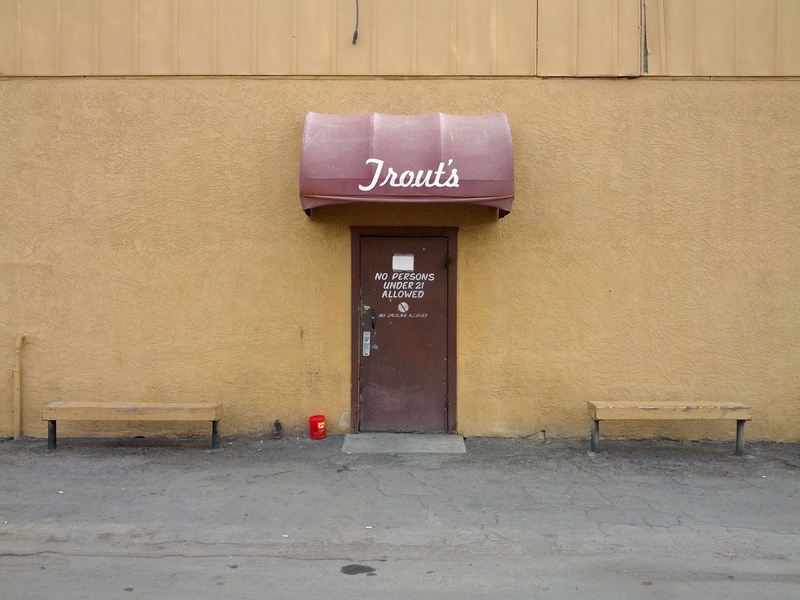 When I visited Bakersfield last fall, I went to Trout’s to touch the hem of country music’s garment. Despite Trout’s reputation, the pickups and PT Cruiser in the parking lot would’ve looked at home outside a Whole Foods grocery store. A kid raced by on a skateboard, and on stage, a woman named Crystal sang a new Top 40 country song while about twenty people sat and watched. Crystal smiled when she stepped off stage, exposing two large wings tattooed on her back. “O.K.,” said Amanda, the young karaoke hostess, “give it up for Crystal!” Regular customers and fellow singers applauded. Dressed in a bedazzled tank top and tight dark jeans, Amanda commanded the room with a friendly authority. She’d been doing karaoke here for six years. A middle-aged woman named Cheryl got up and sang a near perfect rendition of Loretta Lynn’s “You Ain’t Woman Enough (to Take My Man).” People hooted and howled during her performance. Her dyed red hair was cut long in the back and feathered up front, though not quite a mullet. In loose pink cotton pants and a pastel flower top, she dressed like she’d just gotten off work at the hospital. She leaned forward and bent her knees, and when she reached a high note, her voice filled the room. The audience erupted in applause. A tan man with a ponytail broke from the country theme and sang “Soul Man.” He raised his hand like a preacher as he belted out lyrics. After the last line, he screamed “Woohoo!” and leapt from the stage, landing cautiously with bent knees. For 10:15 on a Wednesday night, the place was lively. Trout’s offers country line dance lessons Tuesday through Thursday. They used to have live music seven nights a week, and karaoke seven nights a week. Competition from other karaoke joints cut into their business, and live music no longer generated enough money to sustain it. Now they host karaoke on Wednesday, Friday and Saturday, and live bands Monday, Friday and Saturday, with each alternating on neighboring stages. If you stand outside the liquor store on Chester Avenue long enough, you’ll see a man in a large black cowboy hat and jeans walk into Trout’s. Silhouetted by the interior blue light, his body will look like a frame from a futuristic Western. That’s Indio. “They call me Sidewalk Elvis,” Indio said. “I been doing Elvis for thirty years. I run this town. I’m a bad man.” He unwrapped a peppermint and tossed the cellophane at a red Folgers coffee tub beside Trout’s front door. 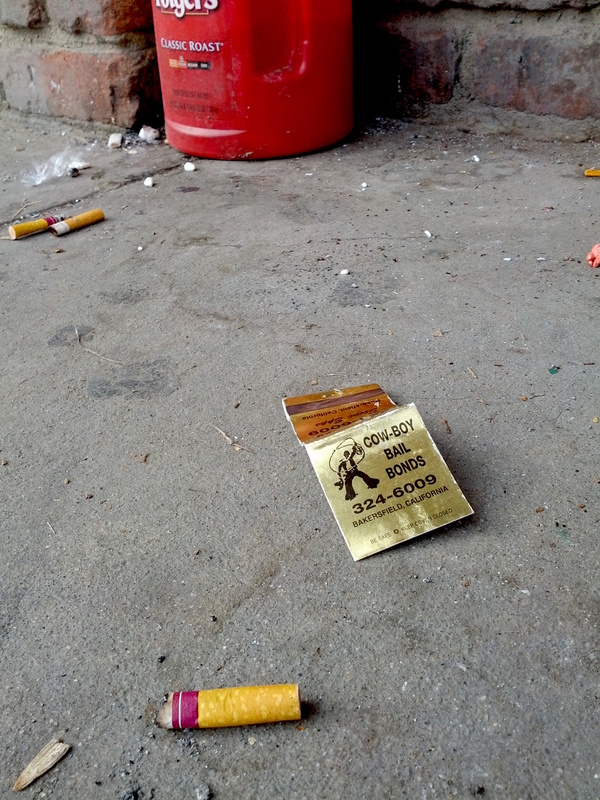 The wrapper missed and landed on the sidewalk amid a mess of cigarette butts, many of which were his. Indio only sings Elvis. Elvis has nothing to do with Oildale or the Bakersfield Sound. However country the King’s roots were during the early years he recorded blues, rockabilly and Carl Perkins covers for Sun Records, his career is ultimately more pop than country. Like some regulars, Indio doesn’t come here to pay homage to Bakersfield’s roots. He comes to sing, which shows how far Trout’s and Bakersfield have moved from their origins in oil and Telecaster twang in order to stay solvent in the age of iTunes and pop supremacy. A black cowboy hat keeps Indio’s eyes hidden and his oily black wig pressed flat against his ears. When he speaks, his voice remains flat, barely modulating even when he curses. With the shape of his face, his soft eyes, and the way his skin sags over sharp features, he could pass for actor Harry Dean Stanton, but not Elvis. He went inside to check his place in the karaoke queue. The peppermint turned over in his mouth as he spoke, clinking against his teeth. 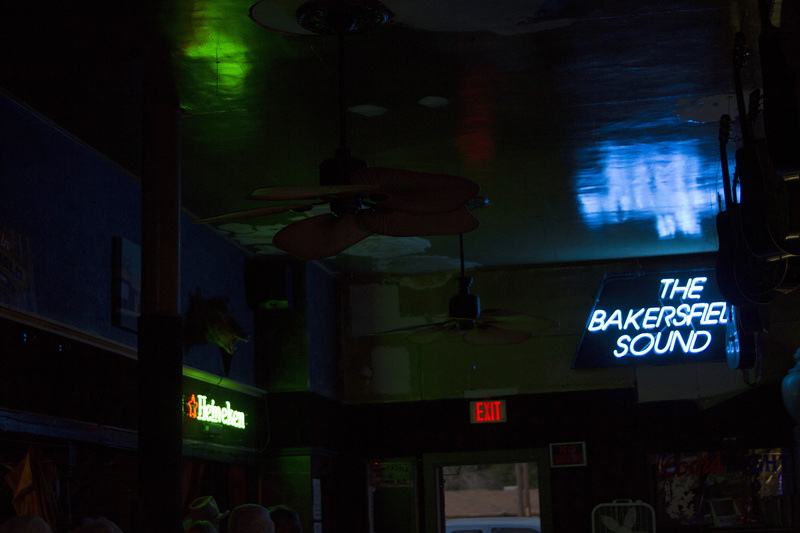 Inside Trout’s, a man sang a new country song that neither of us recognized. 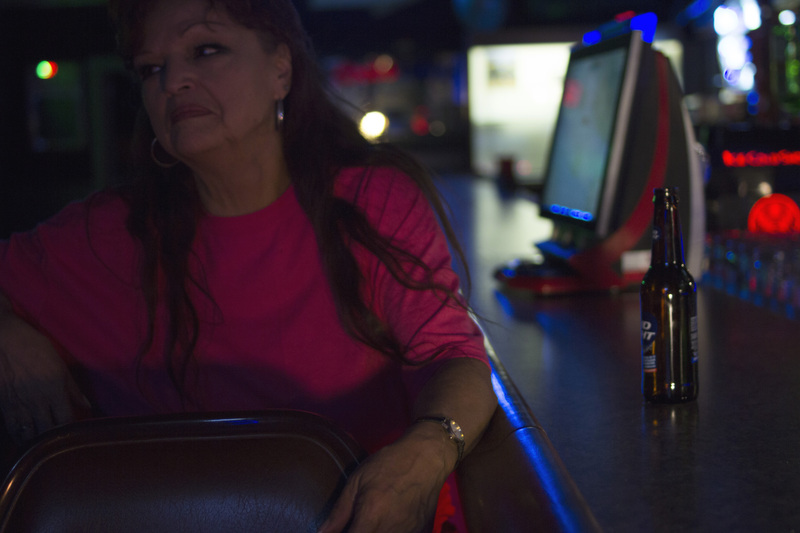 She patted his shoulder and said, “No,” then extracted a box of cigarettes from his jacket. “That’s what we came down here for.” She laughed a nervous laugh. Her eyes were puffy and red, their color exaggerated and eerily luminescent. His daughter threw her head back. “I don’t want to go in there,” she said, “because I don’t want to drink, and I know if I go into any bar, I’ll drink.” She spun around on the tips of her toes as she said this, as if trying to wrestle free of her options and his expectations. She was clearly under stress. Her friend echoed her sentiment: best not to go in. He gave her the matches. “No, I’m doing the─It’s the piano one. Hold me close, hold me tight. It’s got the piano music in it.” The song is an early Elvis tune called “I Want You, I Need You, I Love You.” Elvis’s seventh RCA single, it came out in 1956 and was his second No. 1 hit on the country music charts. Indio coughed and pulled out another peppermint. Mints kept his throat moist between songs. He muttered, “I’m up,” and ducked inside. While he sang, the two women smoked and discussed where to hang out after Trout’s. Trout’s is a tough area. In July, a few months before my visit, a man got stabbed inside the Longbranch Saloon on the next block; the man survived. At 8 p.m. the previous winter, police found a 23-year-old stabbed in the parking lot of the Dollar General a few blocks south on Chester; he died at the hospital. In March, a man on a stolen motorcycle fled from police. After he crashed, he started running down nearby Beardsley Avenue. When he pointed a handgun at two officers, they shot him dead. Beardsley is the center of Oildale’s criminal activity, a hotbed of drugs, gangs, prostitution and assorted violence, the sort of street where a shopping cart sits on the lane line on Google street view. Indio lives on Beardsley. The women decided to go to the house of a friend who would have cigarettes and would not be drinking. Inside the bar, two people danced to Indio’s song. On stage, he stood still, keeping his body turned toward the lyrics on the monitor, his left shoulder to the audience, and his hand in his pants pocket. He hit a few strained notes. He didn’t bust any moves. Mostly, he sang a sweet, soft version of a beautiful song. He sounded pretty good, engrossed but shy, and lacking the vocal force and stage presence of someone who’d been singing for thirty years. “OK,” said Amanda, the karaoke hostess, “give it up for Indio!” Three people clapped. “Thank you, thank you,” Indio said, and curled the bottom of his hair with his hand. When he came back outside, his daughter and her friend were walking north up Chester, fading into a moist hazy distance. Indio watched them for a few seconds then went back inside. Whatever it might have been, modern Bakersfield is no longer redneck. It’s country and working class, educated and upscale, chain store and mom and pop. Even though it’s rough in spots, Bakersfield is also the kind of place where people routinely flash their headlights to let you know that they want to let you pull out of a store and onto the street, even in rush hour traffic, a place where a Grimmy Farms truck full of carrots rattles down Highway 99 while fit bicyclists in high tech gear cruise the cement path along the Kern River Parkway. After Owens and Woods recorded with Hobbs, Woods led his own band, called Bill Woods and His Orange Blossom Playboys. 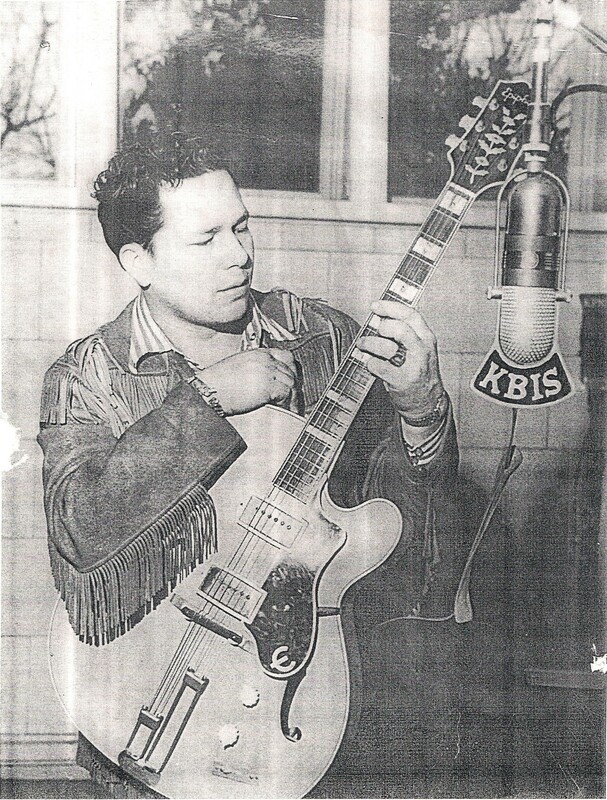 Woods gave Owens his first regular gig, playing his Telecaster for $12.50 a night. During their fourteen years as the Blackboard Cafe’s house band, the Orange Blossom Playboys employed a revolving cast of musicians and helped define California country. 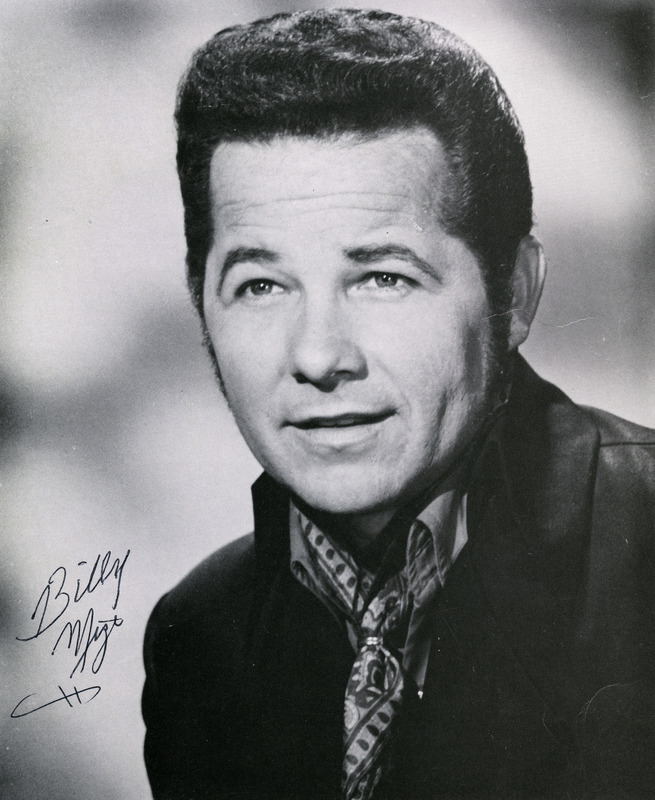 Musician and TV show host Billy Mize was a member, bringing the circle back to Buck, as so many things here do. Mize was a talented songwriter with musical chops to match his handsome features. He penned songs for Dean Martin. Jerry Lee Lewis covered his song “Who Will Buy the Wine.” Like Owens, the Dust Bowl drove his family from Kansas to the San Joaquin. 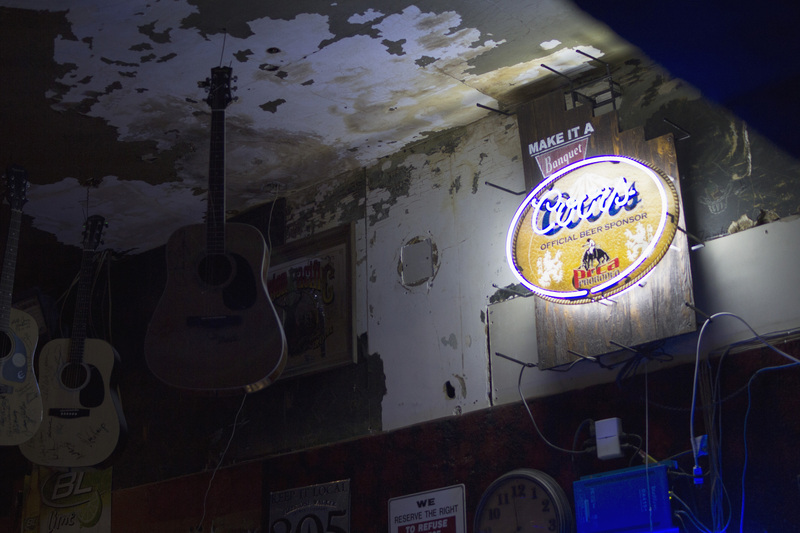 In his early days, many local musicians played in Mize’s band, and later, he played in Merle’s. When he teamed up with Bill Woods and a funny, fast-talking player named “Cousin” Herb Henson in 1953, they started a TV variety show called “Cousin Herb’s Trading Post.” Broadcast from Bakersfield, the signal reached Los Angeles, where scores of people watched exclusive live performances from up-and-comers like Haggard and Owens, Jean Shepard and Bonnie Owens, and a fiddle player later convicted of murder, named Spade Cooley. Touring musicians like Patsy Cline, Johnny Cash, Bob Wills, Merle Travis and Hank Williams played, too, and Mize’s voice and warm personality earned him loads of other TV work, including a regular slot on Gene Autry’s Melody Ranch show, and later, three TV Personality of the Year awards from the Academy of Country Music. Mize’s grandson made a movie about his life and struggle to recover from a stroke, called Billy Mize and The Bakersfield Sound. All of which is to say: Owens and Haggard are the big names, but it took a whole city’s worth of farm-hands and Okies to create some of the world’s liveliest music. If Owens is the musician who made California country famous, Haggard is the local boy who made Oildale proud. Buck was born in Texas, spent time working in Phoenix, Arizona, after his family’s car broke down there en route to California, then settled in Bakersfield. Merle Haggard was born in Oildale in 1937 and raised near the Kern River Oil Field. Like many Golden State Okies, the Haggard family migrated to the Valley from Dust Bowl Oklahoma in search of work and some measure of the good life. Merle’s father James did carpentry for the Santa Fe Railroad, and Merle, fittingly, was born in a boxcar that James refurbished into a house. James had played music back in Oklahoma. After James died, Merle used to stand outside the nearby Beardsley Ballroom and listen to touring musicians like Bob Wills. Big names played Beardsley Ballroom during the 1940s and 50s, including Hank Williams, T. Texas Tyler and the Maddox Brothers and Rose. Inevitably, the young Haggard picked up an instrument. One of Merle’s closest friends, Bob Teague, remembered his formative years: “I was just walkin’ down the street one day, and I heard somebody pickin’ at a guitar.” He peered over a fence in an alley and saw Merle. “Hey,” Haggard said, “you know how to play one of these things?” “We were pretty tight after that,” said Teague. Merle and Teague ditched school. They hitchhiked to Texas in their teens, stacked bales of hay on a Modesto ranch and started playing music. They jammed on their porch. They played at people’s homes. They played their first show at a rough beer hall called the Fun Center on Crows Landing Road; they got paid $5 and beer. Merle was fourteen. Haggard loved Bob Wills and the Texas Playboys, Jimmie Rodgers and Lefty Frizzell. When he and Teague went to Frizzell’s performance in Bakersfield, Teague tracked the Texan down backstage and told him, “Hey Lefty, this guy can sing nearly as good as you can. 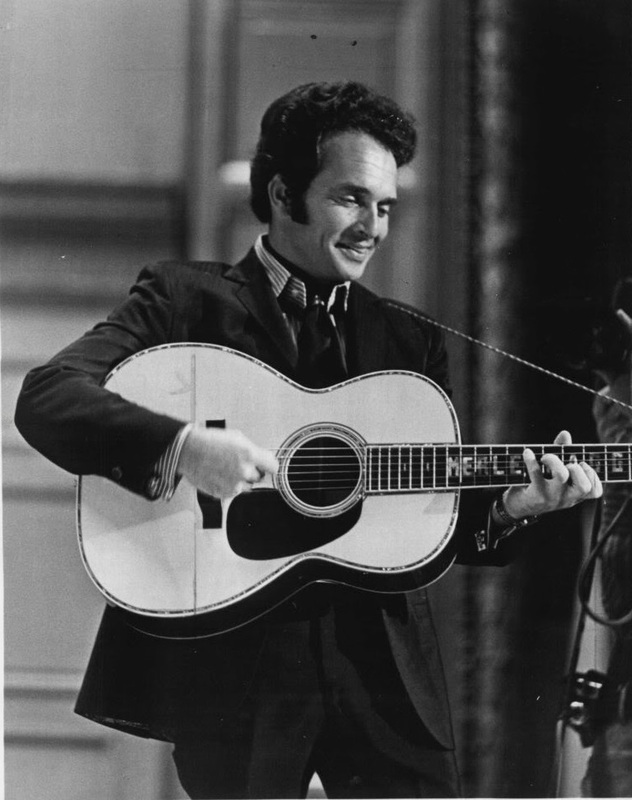 You need to hear him sing.” Merle played a couple songs on Lefty’s guitar. The musician was so wowed that, after intermission, he sent the sixteen year old up on stage, where Merle played Jimmie Rodgers tunes, backed by Frizzell’s band. The audience loved it. “They screamed for the local kid,” Haggard remembered. “Everything was right, and I was hooked.” But he hadn’t focused on music yet. 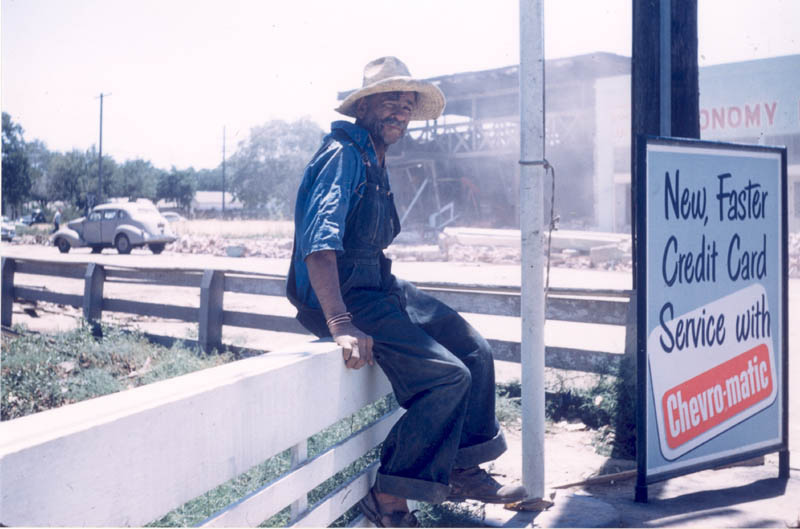 Like many Valley kids, Haggard picked fruit for money and hopped trains at the tracks by his house. Unlike his friends, he got into trouble with the law at a young age: burglary, breaking and entering, drinking, fighting, stealing cars, passing fake checks, even a rumored armed robbery. His outlaw image and charming personality made him an Oildale legend, adored and respected by both girls and boys. Instead of finishing high school, Haggard passed in and out of reform schools, violated parole and escaped various penal institutions, and in 1958, ended up in San Quentin maximum security prison. When he got out and returned to Bakersfield in 1960, Haggard said, “I finally wised up, and I got out of it.” He started focusing on music. In 1960, country music was still called western music, and it was hot. Owens’ songs “Under Your Spell Again and “Above and Beyond” climbed high on the charts. He performed “Above and Beyond” on national TV that year. The next year, Billboard named Owens “Most Promising Country and Western Singer of 1960.” He scored fifteen No. 1 hits on the country charts between 1963 and 1967 and made Bakersfield seem destined to replace Nashville as the seat of America’s country music industry. After Haggard got serious about music, he grew into one of country music’s most celebrated and talented songwriters, writing or co-writing hundreds of songs, a string of hits and country standards that got him inducted into the Country Music Hall of Fame, and whose titles even non-country fans recognize: “Okie from Muskogee,” “The Bottle Let Me Down,” “The Fightin’ Side of Me,” “Mama Tried,” “Branded Man” and “The Legend of Bonnie and Clyde.” Although he didn’t write his first No. 1 hit “I’m a Lonesome Fugitive,” this signature tune showed him that, in his words, his criminal past wasn’t something to hide, “it was one of the most interesting things about me.” But in 1960, Haggard was playing clubs around town for pocket change. Trout’s was one. Besides the décor, there are still a few signs of the bar’s pedigree. An established songwriter and guitarist named Red Simpson, one of Merle and Buck’s contemporaries, plays here every Monday night. He’s eighty. He wrote some hit songs for Buck, including “Sam’s Place” and “Gonna Have Love.” He wrote Haggard’s 1972 song “Bill Woods from Bakersfield.” He’s had a few hits of his own. Simpson’s known for his truck-themed songs. Once he struck gold with “Roll Truck Roll” in 1966, he kept writing about semis and the open road. His best known are “I’m a Truck,” “Highway Patrol,” and “Country Western Truck Drivin’ Singer.” He’s one of the last of the original Bakersfield country musicians still playing. He lives nearby. People give him rides to work. After Cheryl’s group moved to a table on the dance floor, I noticed something move to my left on the bar. I blew on it and it landed inches away in a pool of blue light. It was a cockroach. When I blew it again, it landed on an old silver cooler behind the bar and scurried away. I’d flown from Oregon to Sacramento that morning, and drove the two hundred and seventy miles straight from the Sacramento airport to Trout’s, running errands and making phone calls along the way. I needed to find a place to sleep. For self-defense, he sometimes carried an ice pick, and he always carried two knifes. “You never know.” He tilted his head toward the bar. “Ah,” he said, “I’m up next, man,” and he walked right on stage. He sang “Kentucky Rain.” He stood mostly still, his left shoulder facing the audience again. Cheryl got up and sang Merle’s “Okie from Muskogee” with a fervor deserving the song. It was an easy way to win over this crowd. Indio said he’d sing me “The Chapel” next, but first he needed cigarettes. “I know my daughter will want some,” he said. I drove him to 7-Eleven. As he climbed back into my car with a fresh box of Time, he said, “You’re gonna like ‘The Chapel,’ too.” I hated to disappoint him, but I was too tired to stick around. I’d flown from Oregon to Sacramento that morning, and drove the 270 miles straight from the Sacramento airport to Trout’s, running errands and making phone calls along the way. I needed to find a place to sleep. If he felt any disappointment about my leaving, he showed no sign of it, or even any sign that he’d enjoyed hanging out with me. When he swung open the car door, he greeted a pedestrian with the exact words with which he’d first greeted me: “Hey, what’s up, man?” He sighed while standing, and by the time both feet hit the pavement, he was pulling out a cigarette and onto the next thing. His song was coming soon. He didn’t want to miss his turn. Aaron Gilbreath has written for Harper’s, Kenyon Review, Virginia Quarterly Review, Oxford American, Saveur and Brick. He’s the author of the books This Is: Essays on Jazz and Everything We Don’t Know: Essays. He’s working on books about California’s rural San Joaquin Valley and about Japan.